Mixologists help rum shed its image as a summer-only spirit by exploring year-round cocktail possibilities. 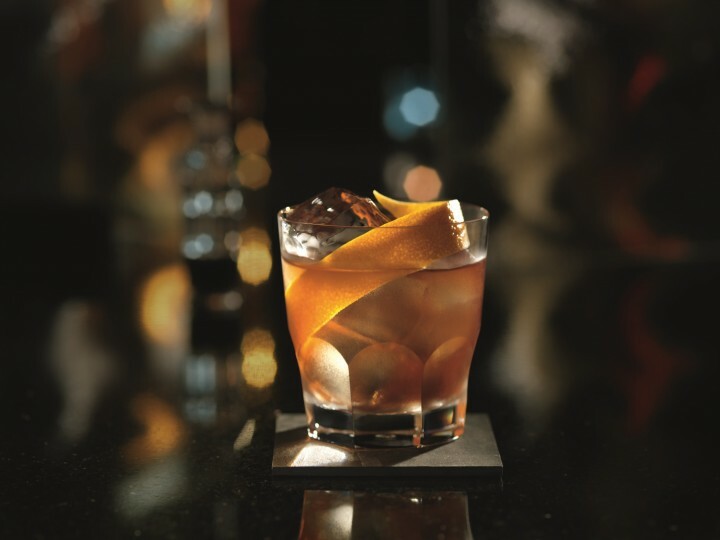 Darker aged rums often replace whisk(e)y in classic cocktails like the Bacardi Rum Old Fashioned, made with Bacardi 8-year-old, sugar, Angostura bitters and orange zest. Tiki drinks and tiki bars have been rising in popularity for several years now, and thanks to this trend, many cocktail lovers are becoming increasingly familiar with rum. “A fascination with cocktail history has shined a light on tiki drinks and punches, which certainly brings rum to the forefront of the conversation,” says Melissa Gallagher, bar manager at Leon’s Full Service in Decatur, Georgia. Teddy Collins, lead bartender and general manager of Miami’s Radio Bar, also points to this natural correlation between the rise of tiki drinks and the increased exposure of rum. “With the recent tiki resurgence, rum is being used more often and in new ways on cocktail menus,” he says. For its weekly “Tiki Tuesdays” promotion, Radio Bar offers $8 rum cocktails, including such classics as the Daiquiri, the Mai Tai and the Zombie. Increased familiarity with rum through tiki culture has led to experimentation and creativity among mixologists in their approaches to rum-based cocktails. While tiki-style rum drinks are still prevalent, mixologists are stepping outside the supposed boundaries of the island spirit. Going beyond the expected tropical flavors enjoyed during summer months, mixologists are creating rum drinks that run the gamut from simple and herbal to potent and spicy, offering a rum cocktail for any time of the year and for any taste preference. 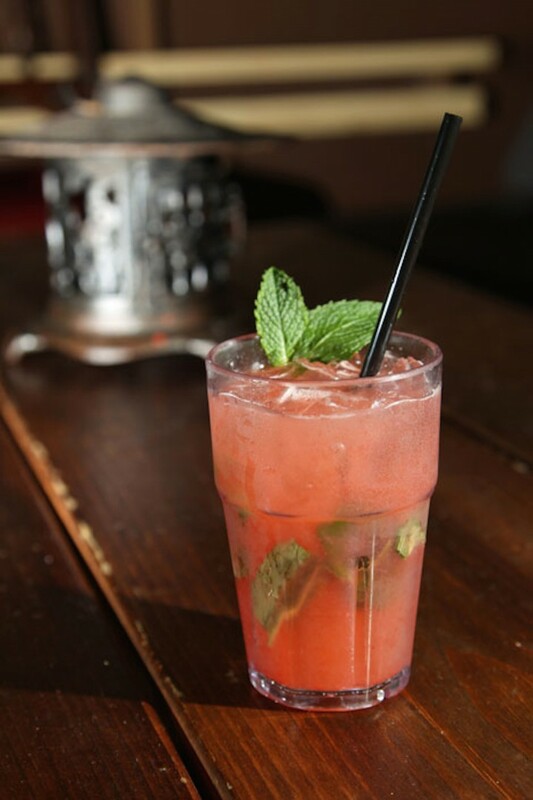 The Red Ginger at Radio Bar in Miami mixes Flor de Caña Grande Reserve 7-year-old rum with strawberry, lime juice, ginger beer and mint. Thanks to the rise in premium rum brands on the U.S. market, bartenders and consumers are getting excited about rum and its possibilities in complex and sophisticated tipples. “We’re seeing a huge resurgence of an all-time classic cocktail, the Daiquiri—not the kind that comes out of a slushie machine,” says Brian Avenius, brand director of Brugal rum. “It’s got three ingredients: premium rum, simple syrup and fresh lime juice. The cocktail’s simplicity makes it a great platform for personalization.” The Perks of Being an Elderflower, created for the brand by New York City mixologist Micaela Piccolo, is a creative variant on the Daiquiri featuring Brugal Extra Dry rum, St-Germain elderflower liqueur, Scrappy’s Lavender bitters and fresh lime juice. “There’s an overall movement toward more sophisticated, balanced cocktails that aren’t drowning in sugar and processed juices,” Avenius adds. “We’re seeing tremendous creativity with rum drinks featuring fresh fruit juices.” New York City mixologist John McCarthy developed the Mr. Tingles cocktail ($14 at the Manhattan bar Greenwich Project), made with Szechuan peppercorn-infused Brugal Extra Dry white rum, Regans’ Orange No. 6 bitters, Angostura bitters, pomegranate and lime juices, and simple syrup. “We’ve seen an emergence in the use of homemade, seasonally inspired ingredients in cocktails,” says Arvind Krishnan, vice president and brand managing director for the rum category at Bacardi USA. In recent years, the brand has partnered with the United States Bartenders’ Guild (USBG) to host the USBG Legacy Cocktail Showcase, which challenges participants to create original Bacardi cocktails. The 2014 winner, Boston bartender Naomi Levy, created the Guayaba Arabica, comprising Bacardi Superior rum, Boiron guava purée, coffee-scented simple syrup, lime juice, cilantro and grated espresso beans. “In this competition we look for drinks that embody what makes classic cocktails so revered: balance, flavor, quality of ingredients and aesthetic appeal,” Krishnan says. 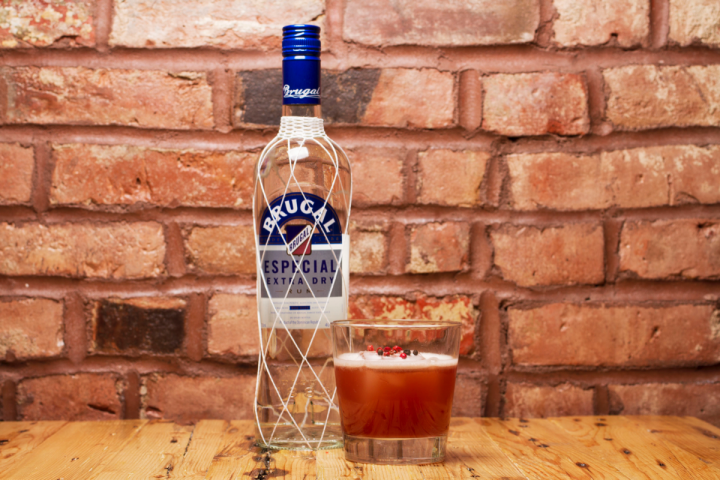 Brugal’s Avenius points to the growth of premium rums as opening doors in the mixology community that were formerly closed to the spirit. “Tiki cocktails certainly enjoyed a boost recently, and the Mojito has continued to be a mainstay, but aside from that, rum didn’t receive what I would call a fair share of the classic cocktail boom at first,” he explains. “That’s in part because bartenders want to make those cocktails with premium spirits, and there was a perception that rum didn’t fit that bill.” Avenius says brands like Brugal have been making a concerted effort to educate the trade and consumers about offerings that can deliver the same credentials they expect from other premium spirits: authenticity, heritage, provenance and impressive quality stories. “We’re starting to see the fruits of that effort appear on top-shelf cocktail menus,” he adds. With drinks like the Daiquiri and Mojito still in high demand, consumers have become accustomed to seeing rum drinks on cocktail menus, but they may not be fully aware of the range of rum styles available and the versatility within the category. Mixologists are beginning to shed light on this aspect of rum as they explore the spirit for inspiration. Though all rums have a sugar base, there’s a wide range of grades and types of sugars that can be used, including pure sugarcane, molasses and Demerara. “Agricole rhum is made from fresh-pressed sugarcane juice, which gives it an herbaceous and fruity terroir-driven flavor profile,” says Benjamin Mélin-Jones, Rhum J.M’s regional director for North America. 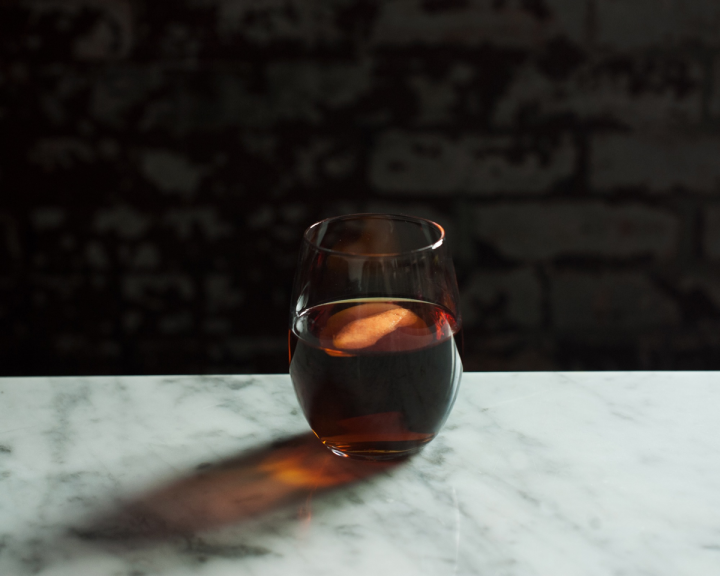 Agricole rhum’s subtle sweetness from its sugarcane base works with a variety of fruits, and its earthiness can complement herbs and spices, while standing up to bold ingredients like Sherry and amaro. At Eveleigh in Los Angeles, Dave Kupchinsky’s Lucky Louie cocktail ($12) features Rhum J.M Agricole Blanc 40-percent abv rum, muddled kumquat, house-made ginger and anise syrups, and lime juice. 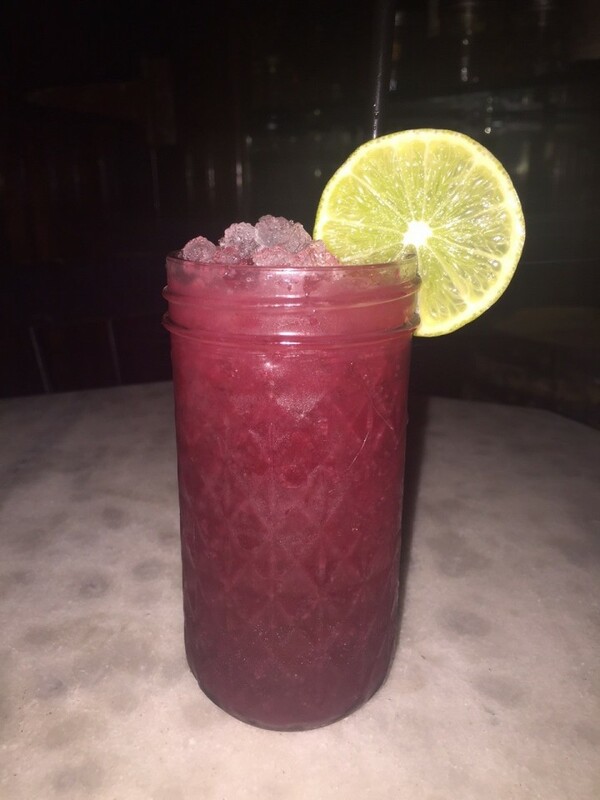 At Sassafras Saloon in Los Angeles, Karen Grill’s Sweet Ti ($12) is made with Rhum J.M Agricole Blanc 40-percent abv, Art in the Age Sage liqueur, Montenegro amaro, lime juice and house-made blackberry lemon jam. “There are so many styles of rum, from light and fruity to dark and spiced or smoky and citrusy,” says Gallagher at Leon’s Full Service. “It works great in all types of cocktails and can be mixed with other base spirits, which makes for really interesting drinks.” Her Resolutions Punch ($10) blends Denizen Merchant’s Reserve rum with Wathen’s Bourbon, Casa de Santa Eufemia Tawny Port, Bellafina Prosecco, black tea, simple syrup, sparkling water and lemon juice. Even with the same style of rum, the cocktail possibilities are seemingly endless. 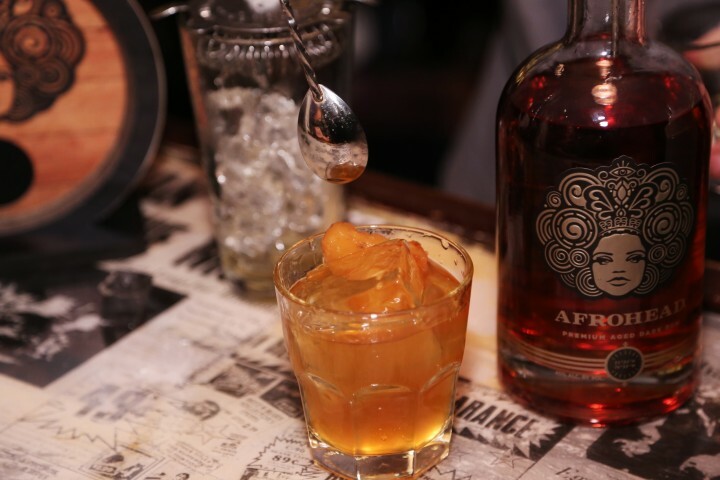 For Afrohead Premium Aged Dark rum, brand ambassador Isaac Grillo created the fruity and refreshing Afrodite, blending Afrohead, watermelon purée, simple syrup, lime juice and basil leaves, while Robert Ferrera’s I Rock Ruff & Stuff ($12) at The Rum Line in Miami is on the bolder, spicy side. The drink features Afrohead, Ancho Reyes chili liqueur, Mandarine Napoléon orange liqueur, house-made cinnamon syrup and Bittermens Xocolatl Mole bitters. At Radio Bar, Collins uses Flor de Caña Grand Reserve 7-year-old rum in the Red Ginger ($12), mixed with strawberry, lime juice, simple syrup, ginger beer and mint, and in the 12AM Call Time ($12), combined with house-made espresso and toffee-peanut extracts and an orange peel. “Tropical ingredients are great with rum, but sometimes it’s nice to divert and go in a warmer direction with caramel, maple, cinnamon, nutmeg, honey or vanilla flavors,” Collins says. 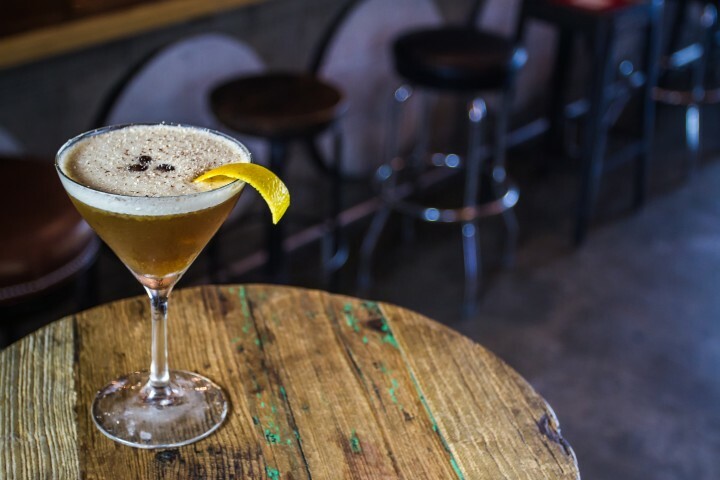 At Miami’s Radio Bar, the 12AM Call Time eschews tropical flavors by blending Flor de Caña Grand Reserve 7-year-old rum with house-made espresso and toffee-peanut extracts and a citrus peel. Cruzan’s Card has noticed that more mixologists are replacing whisk(e)y with rum in traditional recipes. “Strong cocktails with rich rum expressions have been taking the place of whisk(e)y and Scotch recipes,” he says. His Cruzan Estate Diamond Manhattan blends Cruzan Estate Diamond Dark rum with Punt e Mes sweet vermouth, Meletti amaro and Regans’ Orange No. 6 bitters, while Bacardi’s Rum Old Fashioned features Bacardi 8-year-old rum, Angostura bitters, sugar, water and orange zest. “Rum isn’t just a summer staple anymore,” Card says. “The autumnal flavors of an aged rum work perfectly in winter drinks like an Old Fashioned or a Hot Toddy.” Gallagher at Leon’s Full Service created the Ski Montage cocktail, comprising Barbancourt 5 Star 8-year-old rum, Green Chartreuse liqueur, Borghetti di Vero Caffè espresso liqueur, heavy cream, hot water and butter. “There’s definitely an increase in the stirred and boozy style of rum drink,” she says. “People are sipping on it more and treating it like a whisk(e)y. There have been a lot of great riffs on drinks in the style of rum Manhattans and Old Fashioneds.” One such riff, The Rustico—created for Brugal by New York City mixologist Estelle Bossy—comprises Brugal Añejo, maple syrup, and muddled orange and lemon twists. Combine rum, amaro, liqueur, jam and juice in a mason jar, add crushed ice and swizzle. Garnish with a lime wheel and a paper straw. 1Heat 1 cup evaporated cane sugar, 2 pints fresh blackberries, 2 lemon peels and 2 tablespoons water on high heat until the mixture reduces by half. Strain ingredients through a China cap to remove most solids and cool in a sealed jar. Combine rum, liqueurs, syrup and bitters in a mixing glass. Add ice and stir for 20 seconds. Strain over one large ice cube into a rocks glass. Garnish with a flamed orange twist. 2Heat 1 cup water, 1 cup sugar and 15 broken cinnamon sticks until the sugar is dissolved. Allow to cool for 20 minutes. Double strain and bottle. Combine rum, juices, simple syrup and bitters in a cocktail shaker with ice and shake. Strain into an ice-filled rocks glass and garnish with pink peppercorns. 3Add 2 tablespoons Szechuan peppercorns to a 750-ml. bottle of Brugal Extra Dry, infuse for 24 hours and then strain.